We don’t have east and west in Islam, we have mashriq which is the rising of the sun, the rising of reality, and the maghrib which is the setting, and the closing of realities, the setting which brings in darkness. This means where the sun used to rise in the east. Eastern world, now is in a darkness, whether they are cutting people’s heads or buying gold and consuming beyond imagination that there’s no more spirituality. And that that reality is now shifting to where this used to be maghrib; where inshaAllah Allah (AJ) and Prophet’s ﷺ words to be true, that the ishraaq and the knowledges and the rising sun of realities will be shining [here]. Just from a level of science, that who’s studying light and the physics of light and the reality of light? All of that is malakut (heavenly). Light is that which is eternal. Who’s studying that which is eternal? It is the west. All their physics and all their projects are all based on understanding light. While the rest of the nation, Allah (AJ) knows what they’re in search of: how many A’s in the pronunciation of Allah (AJ) and say ‘Allah, Allaaah’, they put five A’s. This is the highlight of their maqhz (brain) and their understanding. Their pursuit became very material, their understanding became very material and no longer the pursuit of realities and light and that which is eternal. The signs upon the horizon, why: because they are in perfection. One: there is no created shirk (partnership with Allah). There is no way Allah (AJ) would create a partnership. So anything you look in nature must be perfect; there’s no shirk in it, there’s no bid’a, there’s no innovation. That’s from our ego when we invent these things. 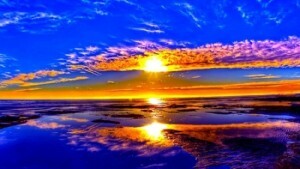 Why did Allah (AJ) direct us first, “Look to My Creation because I manage this creation. It’s perfect. If you take an ajir, if you take an example in life of how I want My creation to operate, you can govern your lives accordingly.” That’s why when people start typing [comments], “Oh this is shirk, this is shirk”: you’re crazy! Allah (AJ) doesn’t create shirk (partnership with Allah). Allah (AJ) creates a sun filled with power and to show how small we are and how much we are in need because we have to understand outside, these realities, and then we begin to really understand the direction in which to move inside. When we look outside at what they’re asking us to look in the relationship between the sun and the moon, that we said before: that the photons of this sun penetrate our entire galaxy. They have not built anything that can stop them. The photon goes straight through the planet, no matter walls and iron. And no matter what you create, those photons go straight through, all the way to the end of the galaxy. It means we are nourished by that shams (sun). You have breath by that shams (sun). How could that be shirk (partnership with Allah)? Allah (AJ) created it that way. Allah (AJ) is the power behind that. 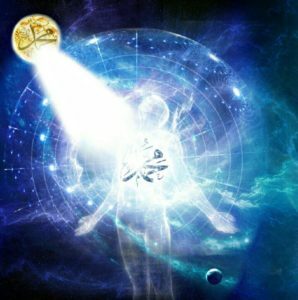 That cause and effect that Allah (AJ) wants, that: you can’t breathe without that sun, you can’t eat without that sun, you can’t live on this earth and have warmth without that sun, and it creates all the energy fields in your life. If the sun has an eruption, this whole earth is upside down. 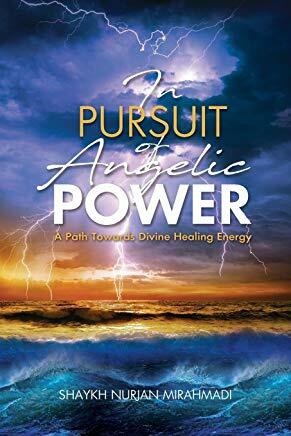 The electromagnetic field that comes from that sun on minor eruptions, disrupts everything on earth, make people to have agitated hearts, agitated beings because we are energy beings. They said category five eruption on the sun can destroy everything on earth. It will create an electromagnetic pulse, in which the energy that shoots from the sun begins to move towards the earth, penetrate the layers of the earth and knock everything out. 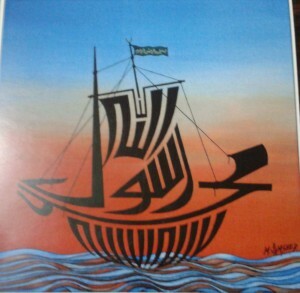 Fuluk – fa, lam, kaf – that it is a ship, which means it denotes that it’s carrying something. It’s carrying realities, fulukul mashHoon, that these are loaded ships. Why Allah (AJ) to use that word in description of the sun and the moon? That they are ships and they are moving in an orbit. This means these are in the realities of light. Then we begin to look at the understanding of the sun because we want to go into magnetism tonight, about the importance of building spiritual magnetism which is an energy. But if we don’t understand the world of light and the world around us, there’s no way to understand and truly comprehend what they want us to mimic within our inner reality. That when you look at that sun, then they begin to show you, you can google ‘size of the universe’, and planets and starts within the universe. There’s a sun; there’s now a sun a hundred times larger than our sun; there’s a sun a thousand times larger than our sun; there’s a sun one billion times larger than our sun; and our earth like a dot to this little sun. Imagine those huge reality that Allah (AJ) and all of it is an example of our approach to Allah (AJ). 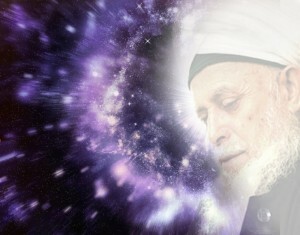 Ateeullah is the inner power of the entire universe. He says that, “Oh you foolish mankind. You can’t approach from where you are to that little sun. How is it that you are coming to Me?” As if you can penetrate the heavens, you need a sultan, you need a permission! Can you move from this earth in the direction of the sun? You’ll be burned, you’ll be annihilated. Even you look and gaze at the sun, it takes away your eyesight; it’ll burn all your retina. It doesn’t even want to be looked at. You can’t sit and observe it. In heliophysics, they don’t allow you to directly observe it; it will burn all of your eyesight. This means that you’re in need of an approach. You are in need of building your dress and building your light and approaching through this whole chain of realities in your way of ma’rifah (self-realization). Because the physical has to match the spiritual. That if you can’t traverse from here and go directly into the light of the sun, how you think you can reach to the reality of Sayyidina Muhammad ﷺ? Which all the naat shareef and all the salawats, is that sunlight is only a drop from the light of Sayyidina Muhammad ﷺ.
Allah (AJ) took from Nur ul-Muhammadi ﷺ, put it into the sun and that’s a drop of the sun that you’re seeing. And the greater sun has more Nurul Muhammadi ﷺ; the greater sun has more Nur ul-Muhammadi ﷺ, all the way to the biggest sun which they call the pistol star, which is the centre of the entire created universe. That is then the centre of Nur ul-Muhammadi ﷺ, where Allah (AJ) describes in Tariq, Surat At-Tariq طارق, which is The Piercing Star. You Cannot Reach the Sun, How Can You Approach Allah (AJ) and His Prophet ﷺ? This means Allah (AJ) wants us to understand that this light we are talking about is so powerful. In your physical realm, you cannot approach them. In your physical realm, you’re so insignificant and small and so unseen – you are what they call an epsilon in their formula – that the earth itself, to this sun is a dot. 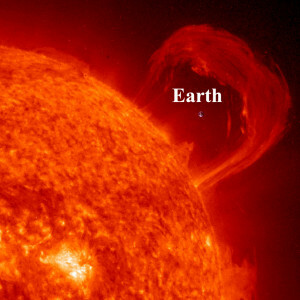 Imagine to the sun that’s a billion times the size of the earth is not even visible. And imagine you upon the earth – completely invisible, not even recognized. It means it has to be a permission through the level and the understanding of the heart, that the soul has that ability. The soul can reach towards these lights and the reality of these lights. That shams is an imitation from Nurul Muhammadi ﷺ. So it means they approach towards the reality of Prophet ﷺ far more powerful, far more hayba, far more difficult. And they are in darajats (levels). 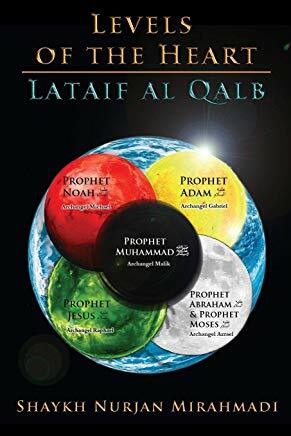 That Prophet ﷺ being the imam of all lights and then all the anbiya (prophets), all the rasols (messengers) are the stars that are taking from the imam, taking from Prophet ﷺ. 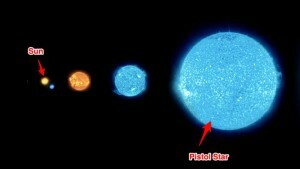 Any one of these stars you follow, you will be guided,” because they are ships. When you follow that light, that light dresses you and blesses you and carries you; and that’s why Allah (AJ) describes them, “They are ships.” You’ll be dressed by their light, not the imitated light but the real light. The ulul amr (saints) and the concept of the moon begins to open up. The moon sends us a light in which we can grow. All growth, all development is through the moonlight. 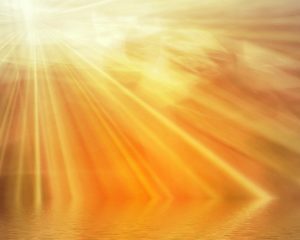 It sends enough of the sun’s light that allows us to absorb that light and nourish our self and build our self and the sun shines enough energy to sweeten the self. So it means all growth is by the moonlight. So the understanding of magnetism is that, “Ya Rabbi, I’m nothing, I’m nothing, I’m nothing but dress me from these lights, bless me from these lights.” They begin to teach that you have within you iron. The iron within your body has to be purified. We take a path towards eating good, drinking good, praying and acting good- begins to purify that iron. That iron within the body, when it becomes pure, energy sticks onto that iron. 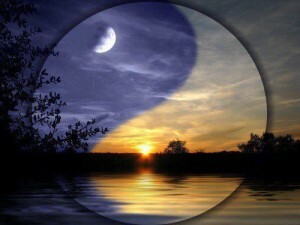 The energy that you are building by reflection begins to stick onto that iron and you’re building your inner reality. You’re building the energy and the qudra (power). This means then they teach through the way of tafakkur (contemplation) that you want to reach towards the light of Prophet ﷺ, then stare at the reflection of Sayyidina Muhammad ﷺ. Imitate! 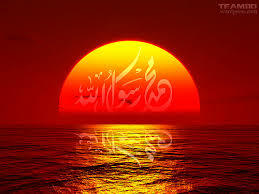 Allah (AJ), imitating: look, look, how you can’t stare at the sun directly, not yet, not who you are. But look to the moon. It means all night long you can stare at the moonlight and there’s no burning your eyes. And it builds for you that reality, and the moon, when you begin to research, it has an effect on earth. That’s why people go crazy and they call them lunatic. 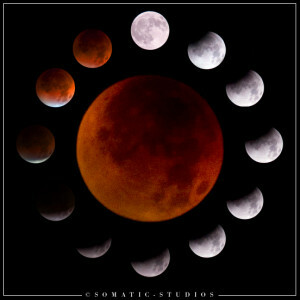 It’s based on the lunar phase of the month. When the month is in full, which means it’s reflecting fully the light of the sun upon the earth and many people go crazy; because that light of Nur ul Muhammadi ﷺ, it begin to touch people and if they’re not able to contain that energy, they become crazy, they become agitated, crime escalates, all sorts of difficulty; because the amount of light coming on a dark, dark world. They don’t mix; they don’t hang out together. When the moonlight begins to shine, every evilness is running for shelter, running for cover; hence they become agitated and aggravated. But believers, they’re waiting for the full moon; that the full moon, Prophet ﷺ described, “Fast on those three days to receive the dress of that light.” That light was so powerful it had taken away the darkness that had dressed upon Adam (as) from his sin. When they came and told Sayyidina Adam (as) that, “You had been darkened by your sin,” that if you fast these three days, the light or what they call the white days, that the light is so powerful, it will dress you and bless you and correct you of all imperfections. 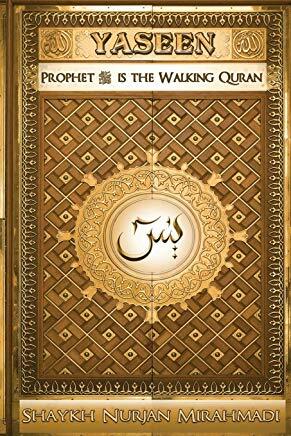 This is the history of Islam, is where all the realities of Islam. But, they left everything and went into very material understandings. The understanding and the physics of light, the physics of this reflection, how all of this is based on our life on this earth, the relationship between the sun and the moon: everything to do with our life on earth. 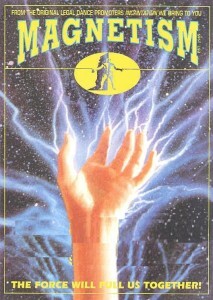 Then with our magnetism they are teaching us that: this energy that you have is not sufficient for you. 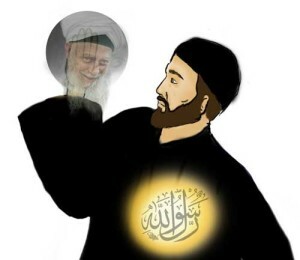 When you begin to take a way, a purification and cleansing of the self, then you begin to learn, “I have to learn how to make tafakkur and muraqaba” that these ulul amr (saints), these awliyaullah (saints) on earth, they are like moons, each more powerful than the other. 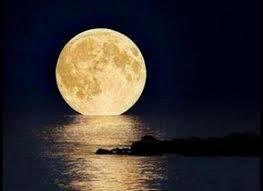 When I focus upon that moon, I am able to bring enough light and my life, and begin to dress myself from that light. It’s not worshipness, just like when you’re looking at the moon in the sky and you’re breathing from the sunlight. Allah (AJ) doesn’t create shirk. We’re in need of it; we’re breathing from it. 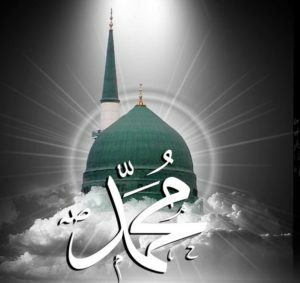 Allah (AJ) then describing, “If you need that, imagine what you need spiritually.” It means we are being nourished by the light of Prophet ﷺ. This is an imitated sun. Without the light of Prophet ﷺ, you can’t eat. Without the light of Prophet ﷺ, you can’t breathe. Without the Ashab an-Nabi ﷺ, Ahl ul-Bayt an-Nabi ﷺ and the ulul amr, that reflection would not be coming to us. So when Allah (AJ) says, “Wa lakal karamna Bani Adam,” that, “We have given you such an honour,” to be dressed from these realities, blessed from these realities. Then our whole way of understanding to reach towards these realities is that, “Ya Rabbi, let me to be in the presence of these full moons,” that their whole life is the way of Prophet ﷺ. That’s the, when you understand the moon, the moon’s only focus is the shams. The moon’s only focus is on Sayyidina Muhammad ﷺ. Even you see how they speak will be different. 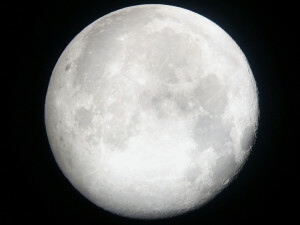 When someone is not a moon, they talk too much about the owner of this entire creation. It’s like the little planet that shot all the way to the front and talking about something that’s way beyond their capacity. But can the moon talk about anything other than the sun? It means its entire focus, its entire job is to follow the sun. 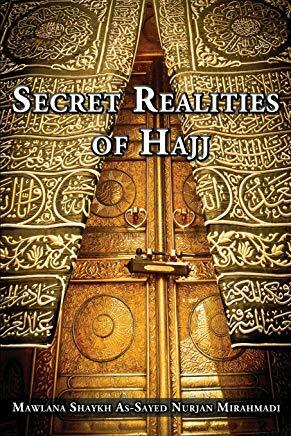 You take the reflection of the sun because these are all by analogies and allegories, that the reality is Prophet ﷺ. If you are following Sayyidina Muhammad ﷺ, loving Sayyidina Muhammad ﷺ, trying to do your best to please Sayyidina Muhammad ﷺ, that is the light of Allah (AJ) within the heart of Prophet ﷺ. This means that when you focus on them, there’s no worshipping. You focus on them like you’re sunbathing, like you’re going out onto the beach and looking at the sun. When you focus on them in your tafakkur (meditation) and [say], “Ya Rabbi, let me to always be in the presence of your full moons; let me to be dressed by their light, blessed by their light”; their energy begins to dress our energy. Their reflection begins to dress our reflection. As much as we can carry that light and to be dressed by that light, the light begins to dress our entire being. Where that light is going to clean is in the iron of the body. That nazma and that energy that begins to reflect upon us just like it’s reflecting on the outside -( we have to explain it in detail because people are going to watch on the video, and then they start to make all sorts of kooky comments). But when they don’t understand the perfection which Allah (AJ) created this universe and this galaxy, that you are taking its reflection and living on this earth. Now for your spiritual pursuit, why would it be something different? “A sign for you is that we carried you in the loaded ship.” Those are the souls that are traversing these realities and, “We created mislihim, and those that are like them,” which means the students and the muqaddams (assistants) that are trying to follow the path of their moons. They took a life of annihilating themselves: I’m nothing, I’m nothing, I’m nothing and my whole nazar (gaze) is on you, and your nazar (gaze) on your shaykh and your nazar (gaze) on your shaykh and that shaykh’s nazar (gaze) completely on Prophet ﷺ. And that gives you the entire government of the spiritual realm because their face always to the face that they receive power from. Their moon is always attached to that sun and that sun dressing them completely, from where? From Allah (AJ). Because the power of the sun is from where? It is from Allah (AJ). It means the Prophet’s ﷺ light is dressing them. Then our whole life is to follow that reality: I’m nothing, dress me from that light. That light begins to dress the iron within the body. As much as we can purify that iron with zikr (remembrance), with good food, with drink, everything to be healthy within the body, that iron is being purified. As soon as you bring this energy onto the body, keep it onto the iron, that iron goes into the heart. 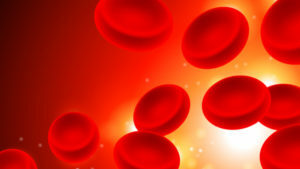 Because when you understand the cells and the blood cells of the body, the red from the blood is the iron within it. This means that nazma and that energy attaches to that iron; that iron moves into the heart. As soon as your life is based on zikrullah and following the reality, every time you say ‘Allah’, it stamps that iron, it electrifies and energizes that iron. Then the body will send it throughout the rest of the body. It means the breath comes in, these energies comes in, they stamp upon the iron, the iron moves into the heart, stamped by the zikr (remembrance), moved out onto the organs of the body and the entire being is being purified because our heart is the sun. Allah (AJ) is beginning then, the opening of our understanding that, “If you want to copy My galaxy, My universe, then mimic what I’m doing upon My creation.” So as soon as we focus on the moon, focus upon that light ‘cause it is the reflection of the sunlight, we annihilate our self, purify our self. They begin to teach: the iron within you is going to carry that energy and then your breath brings that energy in and stamps that iron and moves it into the heart. 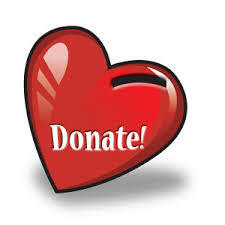 From the heart, it is stamped and moved to all the organs of the body and now your juzba is building. That is from haqiqat ul-juzba, that you can’t have no juzba (magnetism) and you won’t have any magnetism if you are not in the tafakkur (contemplation) of one of these ulul amr (saints), because Allah (AJ) dresses nobody directly. 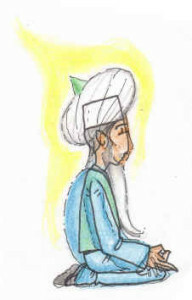 Ateeullah, ‘cause nobody can reach the station of ateeullah– it’s impossible. This is a station for the prophets. 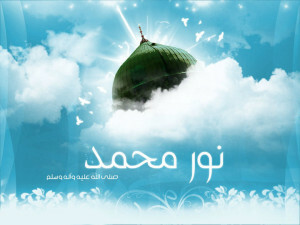 Atee ar-rasool wa oolul amrin minkum. So Allah (AJ) made our life to be easy, be connected to these ulul amr (saints). By being connected to the ulul amr (saints), they dress us and bless us from these realities. This means haqiqat ul-juzba is based on our grasping of tafakkur and contemplation, that as much as I negate myself in life and I’m nothing, I’m nothing, ya Rabbi; let me to be dressed by these lights, blessed by these lights. Then Allah (AJ) says, “Okay then be like a moon. Take the course of one of them. Follow them. Make your whole nazar (gaze) upon them, that your gaze upon them,” which means follow their path and when you’re not with them physically, you keep with them spiritually. It means in tafakkur when you are sitting and contemplating; you don’t need to always be with them (shaykhs) physically. 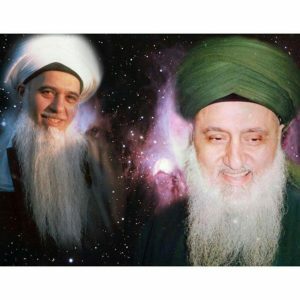 You train yourself that spiritually when you connect, that let my moon to always be present with me, ya Rabbi, that my guide and my murshid (teacher) is always present with me and that I’m nothing and that my spiritual vision begin to see and sense them. You use the imitated which is the body to reach towards the reality which is the soul. The time that you spend with your physical body with these moons and these realities, with these guides was so that you would open the reality of your soul with them. And you train yourself all the time to be in that presence. 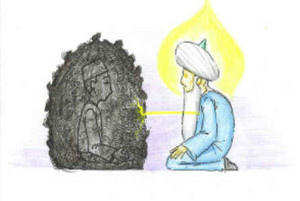 Every time you’re sitting and contemplating, you’re taking that dress of that presence. When you sit in the majlis (association) of the zikr (remembrance), you annihilate yourself and keep in the presence of that reality, constantly- why? Because Allah (AJ) describes the moon and the sun, they never leave an orbit, there’s no timeout. The moon doesn’t say, “Oh, okay, no I’m not going to do this now.” It’s continuously in a orbit, moving, moving, moving, moving – it means our life is continuously on that reality, that at every moment, I’m asking to be in that dress, to be blessed by that dress, that I’m nothing, I’m nothing; let me to reflect that dress. And it begins to send, as much as we can contain, as much as we build ourselves with good practices; as much as that light begins to stay. As much as that light begins to stay and that becomes haqiqat ul-juzba. 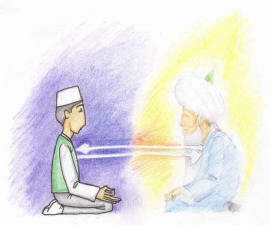 The juzba (magnetism) becomes so strong that people are attracted to them- why? Because it’s like moonlight. All the lunacy that we have is our disconnect from this reality. All the difficulties we have is the disconnect from that reality. As soon as you go back into the way of tafakkur and contemplation, you are reconnecting with the life that Allah (AJ) wanted us to always be connected with, so that you are fulfilling ateeullah, atee ar-rasool wa ulul amrin minkum. That chain of light is reaching to us- it takes away insanity, it takes away sickness, it takes away difficulty. It takes everything away and dresses us, blesses us; and it if affects an ocean, imagine that the 70% of water within our body, how it’s affected by that light. We pray that Allah (AJ) grant us more and more understanding from what’s outside and around us to the reality that’s actually within us and that we can copy that reality and move towards Allah’s (AJ) Satisfaction, inshaAllah.